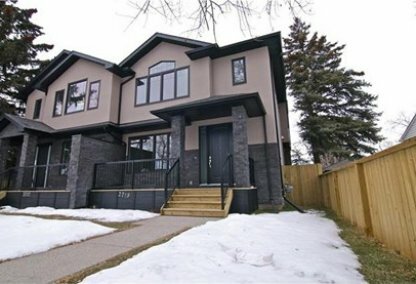 See today's Highland Park homes for sale in Calgary! The outstanding homes in Highland Park are set among the beautiful mountain views of NW Calgary. The community was established in 1910. 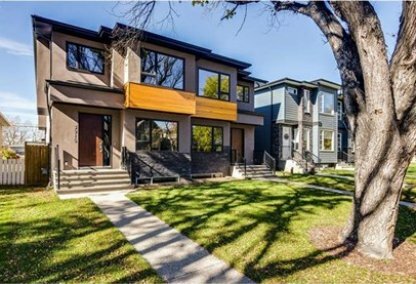 To learn more about Highland Park real estate for sale or to schedule a guided home or condo tour, connect with your Highland Park Calgary real estate team today. Highland Park housing market statistics: As of April 25, 2019 there are currently 41 properties for sale in Highland Park listed as active, with an average asking price of $541,072. The highest-priced property is $799,900; the lowest priced property can be purchased for $161,000. Highland Park neighbourhood listings have an average price of $402 per square foot, based on listings with 3.6 bedrooms, 2.8 baths, and 1,378 square feet of living space. Looking to sell or buy a home in Highland Park Calgary? Call Justin Havre at RE/MAX First - 403.217.0003, your neighbourhood Calgary real estate team. We are Highland Park real estate agents and experts on the Highland Park housing market in Calgary. The Highland Park community's boundaries include McKnight Blvd (North); 32 Avenue (South); Edmonton Trail (East); and 4 Street (West). Home owners enjoy access to the airport, and downtown Calgary is a quick trip along Edmonton Trail. Highland Park includes mostly single-family houses built between the 1950s and 1970s, although there are a few condominiums mixed in too. The Highland Park Community Centre has combined membership with Mount Pleasant and Tuxedo Park. It has activities for all members of the neighbourhood, from children to seniors, including an outdoor skating rink. The annual Stampede barbecue is a popular social event. The Highland Park Community Association is very active as an advocate for important issues. They fought to keep a local school open recently and were successful in doing so. The prairie lands of Nose Creek Park and the Highland Golf Course are close by Highland Park real estate. The exclusive Calgary Winter Club and its exceptional recreational facilities are also in close proximity with the community. There are numerous shops and restaurants along Edmonton Trail. The largest area mall is Beddington Town Centre. There are two local public elementary schools in the Highland Park neighbourhood- Buchanan Elementary and James Fowler High School. Thinking of buying or selling a condo in Highland Park Calgary? Let our local real estate agents help guide you through the purchase of your next property, or to professionally negotiate the sale of your current home. As local Highland Park real estate agents, we're experts on the market dynamics unique to the Highland Park real estate. We'll get to work today! Contact Justin Havre at RE/MAX First - 403.217.0003 to learn more about buyer or seller representation. Planning to sell your Highland Park home? Check out our home evaluation tool, where you can instantly view Calgary Homes Values online!